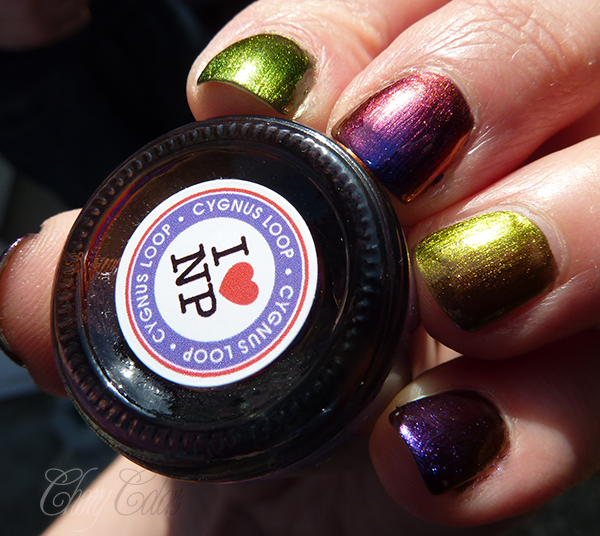 NOTD: ILNP Cygnus loop & Nostalgia - Cherry Colors - Cosmetics Heaven! 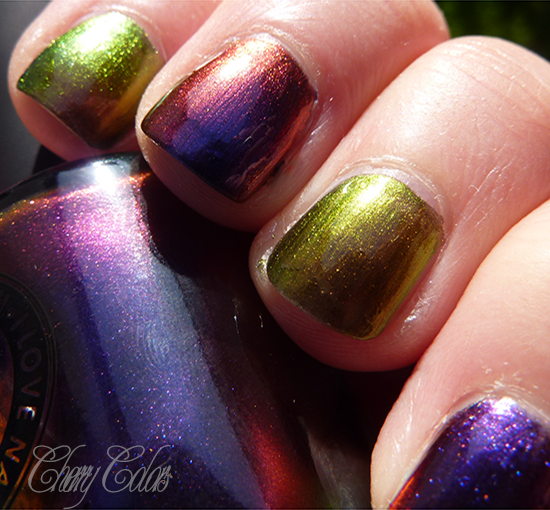 My very, very lucky friend got these two amazing nail polishes from her husband. They are from the indie brand I love nail polish (how appropriate! 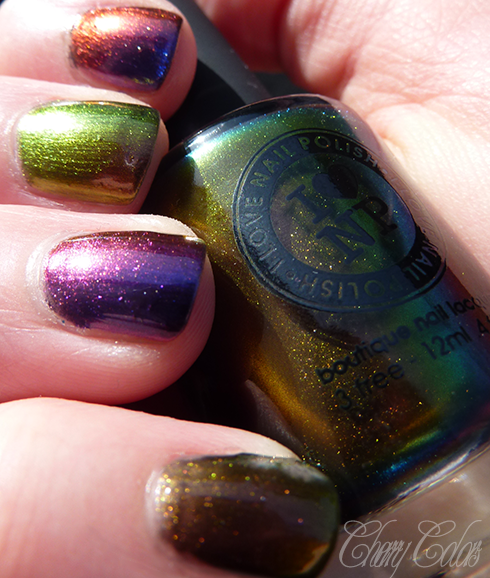 ), which makes gorgeous nail polishes. They are called Cygnus Loop (purplish one) and Nostalgia (well, the other one). I jumped at the chance to do my manicure using them! I didn't want to use just one, so I used both! I applied them in a mix'n match manner, so you can see the effect better. And from bronze to green, yellow.. gold?! There are so many hues in these that it's hard to tell them all apart. 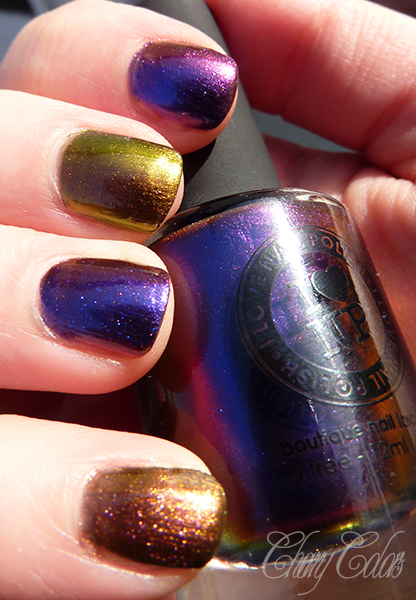 I love the polish the most in the shade, because of the finish of the polishes which is frost. I am not a frost finish fan, but it does look marvelous on these! 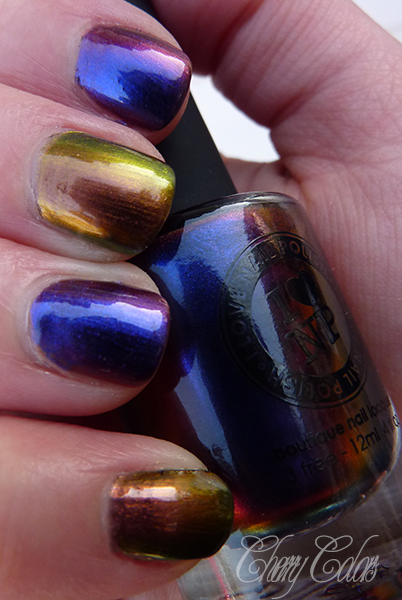 These are some amazing duochromes! I love love the effect they give, what a show-stopper they are! Too bad they are quite expensive, especially with the havy duty shipping fees.